Figura Ltd is committed to ensuring that your privacy is protected. Any information you provide to us through this website will only be used in accordance with this privacy statement. We will never share your details with anyone else. We are committed to ensuring that your information is secure and to offer the best online experience. In order to prevent unauthorised access or disclosure we have put in place suitable procedures to safeguard the information we collect online. It is possible to browse our site without submitting any personal information at all. However, you may choose to request our brochure, or submit a Get In Touch request so we will collect your name and contact information. We can only send you Figura Ltd updates about services and posts with your consent. If you have provided your consent, you can withdraw it at any time (see "Unsubscribe from Figura Ltd updates" below). If you have consented, we will send you Figura Ltd updates through the preferred communication method you selected (e.g. by e-mail and post). If you have registered to receive Figura Ltd updates relating to our services and posts, and you no longer wish to receive these, you can request that we amend your preferences. You can do that either as indicated in the particular communication, e.g.by using the unsubscribe link which is included on all email updates, or by contacting Figura Ltd. If you opt out of receiving Figura Ltd updates relating to our services and posts, we may still send you non-marketing communications such as emails about your account or project (past and current). In addition to the information that you choose to submit, our systems are set up to gather certain anonymous data to help us better understand how our site is being used and how we can improve it through the use of ‘cookies’ - see below. Cookies are small text files that are placed on your computer by websites that you visit. They are widely used in order to make websites work, or work more efficiently, as well as to provide information to the owners of the site. By using our website you agree that Figura Ltd can place these types of cookies on your device. Most web browsers allow some control of most cookies through the browser settings. 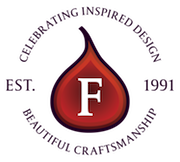 Figura Ltd use Google Analytics and Squarespace code to see which pages have been visited on our website. Squarespace Analytics is the reporting platform that gives us insight into how our site is performing. To find out more about Squarespace analytics visit: http://squarespace.com . To opt out of being tracked by Google Analytics across all websites visit: http://tools.google.com/dlpage/gaoptout.